"It was the evening before the cold weather to come, and the sun came through to show a rainbow with the bare trees. A white cloud looks down on the end of the day." 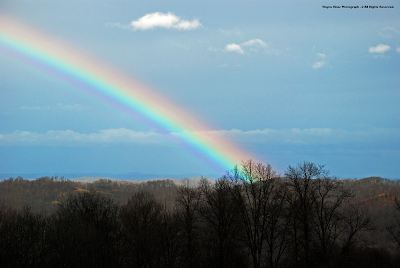 November 2011 was yet another wet month across the High Knob Landform, with totals that locally topped 10.00" in wetter sections of the massif and the Cumberland Gap National Historical Park area. Harold Jerrell measured 9.43" during November in the Silver Leaf community of Lee County located just southeast of Cumberland Gap National Historical Park. 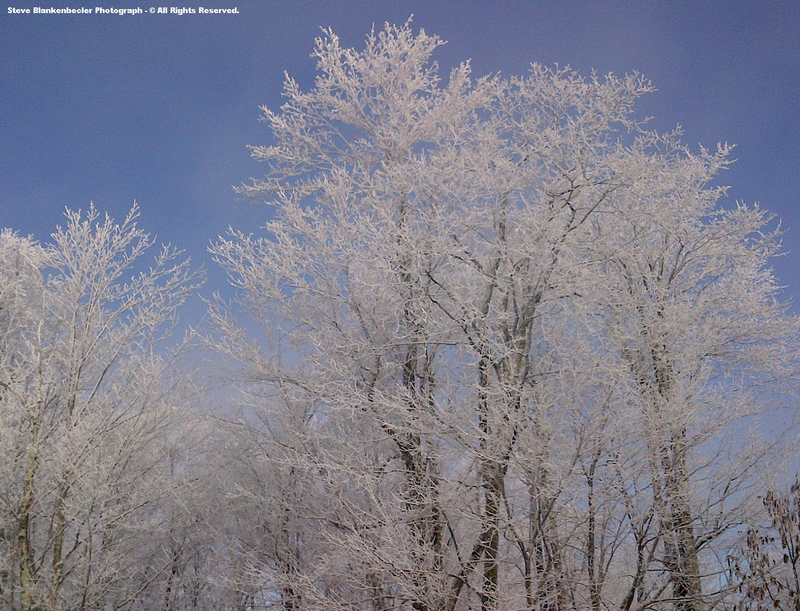 In the High Knob Massif November temp means varied from upper 40s to lower 50s by day to upper 20s to lower 30s at night. The November MAX on Eagle Knob reached 58 degrees and the MIN dropped to 17 degrees ( colder amid snow covered mid-upper elevation basins ). A general 7.00" to 10.00"+ of total precipitation fell across the massif area during November, including 3" to 5" of snow above 3000 feet. As of early December there have been 12 days with at least 1" of snow depth across N-NE slopes of the High Knob Lake Basin since October 1, 2011 ( above 3400 feet ). My friend Steve Blankenbecler captured the beauty of gorgeous rime and blue skies as clouds began to dissipate above a cold Eagle Knob summit on November 30 ( PM MAX of 27 degrees ). Total Since September 1: 23.33"
( M ) - Indicates some missing moisture amid winter snowfall and smaller evaporative losses between hand-measurements during the cold season ( 4"-diameter NWS rain gage ). *Significant rain gage moisture loss occurred in December 2010 when Joe & Darlene Fields measured 55" of snow in nearby High Chaparral ( 65" to 70" fell at highest elevations in the massif ). Precipitation received during 2011 and the past several years amid the High Knob Landform has produced a huge precipitation gradient across Virginia that exemplifies differences observed over a much longer period of time, such as the distinct variations recognized in the 1930s and 1940s by Dr. Emma Lucy Braun. 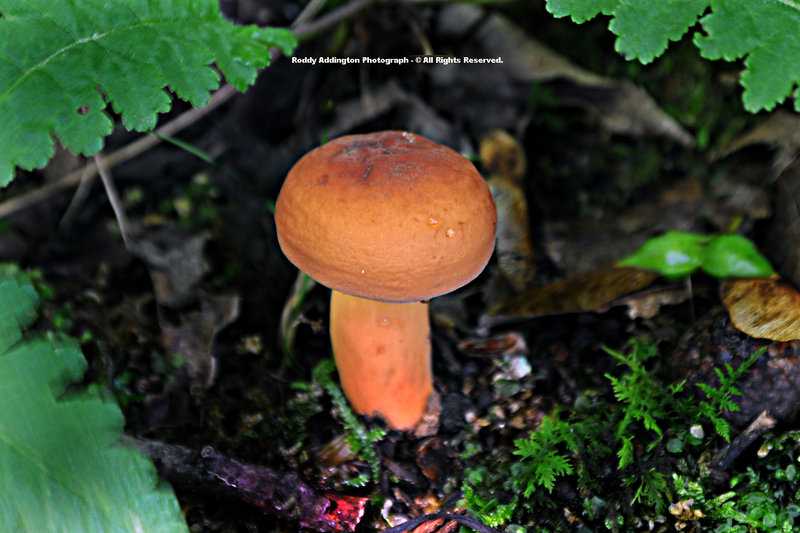 "The Mixed Mesophytic association reaches its best development in the Cumberland Mountains. There it is most luxuriant in aspect and contains a larger number of species than elsewhere. There it displays the greatest variety of types, of association-segregates formed by local shifts in dominance of constituent species...when we look beyond the boundaries of this region in any direction, we find mixed mesophytic communities much more circumscribed, much more restricted to particular local environments, and generally containing fewer species or even lacking characteristic species." "The Cumberland Mountains section of the Mixed Mesophytic Forest region is essentially coextensive with the physiographic section by the same name. This is a mountainous section, whose highest and most characteristic part is carved from a large fault block with more or less upturned edges forming the monoclinal bordering mountains - Pine Mountain along the northwest and Cumberland Mountain and Stone Mountain on the southeast." Although it has been a long time since Lucy Braun and her sister Annette walked the forests of the Cumberlands, her legacy lives on as a pioneer in forest ecology and the first scientist to ever define the extent of this ancient forest. 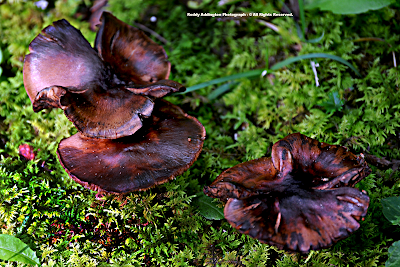 "The southeastern boundary of the Cumberland Mountains, formed by the escarpment which here is Cumberland and Stone Mountains, is the approximate limit of the area where mixed mesophytic forest prevails." *Deciduous Forests Of Eastern North America. Lucy Braun is referring to the southeastern extent of what she considered to be the heart and core of the mixed mesophytic forest region, east and southeast of which it becomes relegated only to the best and most mesic sites of localized areas. As the High Knob Massif bulges upward into the atmosphere so do precipitation amounts, with a general 70" to 80" in 2011 from the City of Norton across its wide highcountry being in contrast to 53.18" near The Cedars of its calcareous core ( denoted by SW-NE dark green strip above ) to the southwest, 53.04" on Long Ridge of the Tennessee Valley Divide to its northeast, and 43.58" in the Tri-Cities of the Great Valley toward the southeast. 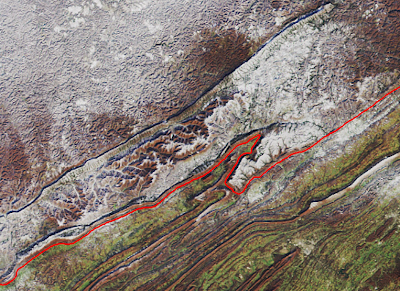 The Cumberland Front, or escarpment, that is referred to by Lucy Braun is formed by the distinct northwestern mountain flank of the High Knob Landform and southeastern base of its remnant massif ( along and northwest of the red line ). As my research is showing for ALL to see, this marks not only a physiographic boundary but also a distinct climatic boundary that drives all features of this amazingly complex natural world found within the High Knob Landform and its Upper Tennessee & Upper Cumberland basins. In the High Knob Massif temperature means during autumn varied from mid-upper 50s by day amid highest elevations to upper 30s-lower 40s at night. A general 20.00" to 25.00" of total precipitation fell during the three month period, including 4" to 10" of snowfall above 3000 feet. This pushed 2011 into the 70-80" range for total precipitation. ( M ) - Denotes that total precipitation was greater than rain gage total due to evaporation between hand-measurements and physical gauge losses in deep falls of snow. While obvious to anyone looking at the above data, 20" to 40"+ spreads in amounts are no less than HUGE for an 11 month period. Most important, however, is that in the mean such variations are common as I have documented for many years ( look for final totals when December 2011 ends ). For the past 37-months my featured site has been amid majestic Big Cherry Basin of the High Knob Massif, where hand-measurements by my friend Gary Hampton & Staff of the beautiful, historic town of Big Stone Gap are helping rewrite the known climatology of Virginia. 37-Month Mean Monthly Precip: 6.31"
While the 6.31" mean monthly precipitation observed during the past 37 months is the highest ever documented in the Old Dominion over such an extended period of time, it is known to be less than what actually fell at Big Cherry Dam. Conservative estimates for the actual rain gage catch at Big Cherry Dam yield around 6.56" per month when allowing for amounts lost due to evaporation between hand-measurements and winter falls of snow too deep for the rain gage to physically hold. If all partial estimates & estimates on the 5 months with missing data due to severe winter conditions are taken away the mean monthly precipitation average on the raw rain gauge catch still yields 6.25" ( also the highest on record in Virginia ). So it is very safe to state as fact that for more than three consecutive years wetter portions of the sprawling High Knob Massif have averaged 75" to 80" of total precipitation, which has never before been documented in Virginia outside of the massif. Some of the wettest years of the past 4 decades likely occurred during the active 1970s before any precipitation record keeping began in the City of Norton and High Knob Massif area. My friends Tommy Roberts & staff have been helping rewrite Virginia climatology for decades, with data scans through the Climatology Office in Charlottesville, of all available sites, finding the City of Norton to be the wettest location in the state during the 1983-2004 period scanned. I knew, of course, that the High Knob Massif was wetter since I had been doing surveys of its precipitation since the 1980s on snowfall and 1990s on rain & snow. 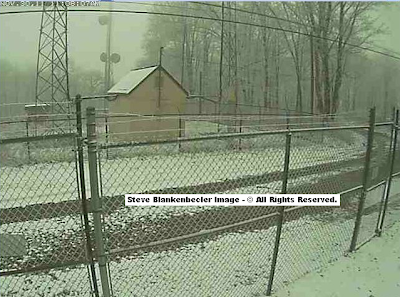 The above being a most significant discovery given that the Norton Water Plant had substantial moisture losses in larger falls of snow during the entire 1983-1998 period of its record, when deeper snows could not be held by a 4"-diameter rain gage ( I installed an official 8"-diameter NWS gauge in summer 1998 ). Nov 2010-April 2011 Total: 32.66"
37-Month Mean Monthly Precip: 5.62"
Mean Per 12-Month Periods: 67.44"
Measuring like clock work every day, with no missing data, the 37-month mean of 5.62" yields 8.28" less precipitation per year than obtained at Big Cherry Dam. The 2011 period being closest between Big Cherry Dam and the City of Norton, with larger differences observed during the 2009-10 measurement period. The main point; however, being that actual amounts at Big Cherry Dam were greater than rain gage numbers such that the 37-month difference between the two sites was larger than indicated by these data sets on primary precip. Addition of secondary moisture sources, such as fog drip from trees and rime deposition on trees, which are not collected by rain gages, makes the Big Cherry Basin much wetter than the Norton Valley over the longer term. In reality, of course, City of Norton mean monthly precipitation during the past 37-months would have likely produced around 11.00" less per year than Big Cherry Dam had it been possible to also measure every day by hand at the Dam. and extend over a much longer period of time. Wayne Browning Graphic - © All Rights Reserved. 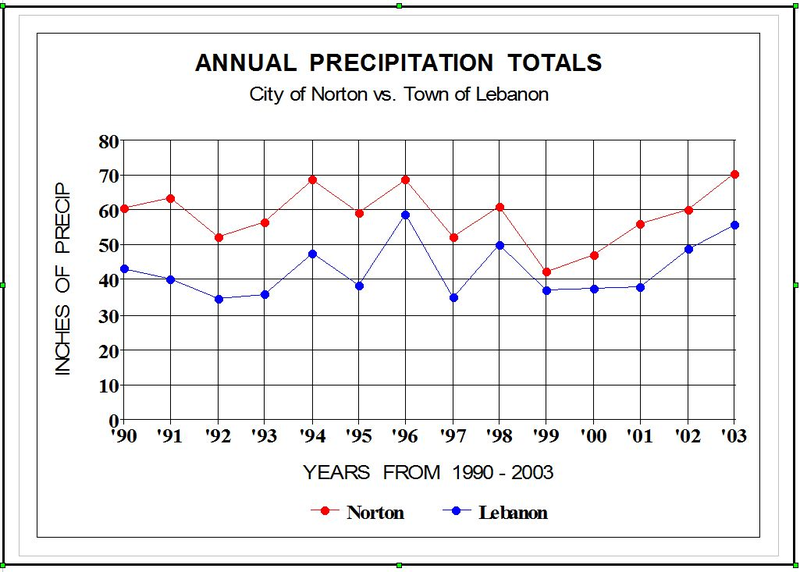 Although I have already pointed out that the High Knob Landform and its remnant massif works to force annual precipitation decreases in traveling up stream in the ecologically rich Clinch River Basin, the above graphic illustrates this nicely during a direct comparison between the City of Norton and Town of Lebanon. It should be noted that Norton had missing data during every cold season from 1990-1998 before a larger 8"-diameter NWS rain gage was installed at the Water Plant. By contrast, the entire data period of Lebanon was recorded with a 8"-diameter NWS gauge. 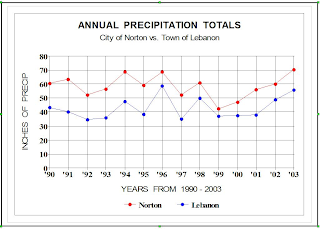 Similar comparisons between Norton & Richlands find somewhat greater differences in favor of much more annual precipitation in Norton. Northeast of Lebanon and Richlands annual amounts decrease further into locations such as Tazewell, Bluefield, and Bland ( in the mean ). Burkes Garden has somewhat more ( but reference remarks below ). by the High Knob Landform, since during the convective season many documented cases of shower & thunderstorm formation triggered by clouds developing above the massif are noted to provide rainfall to the Clinch Valley as they drift east to southeast off the massif and Tennessee Valley Divide into Russell & Scott counties. 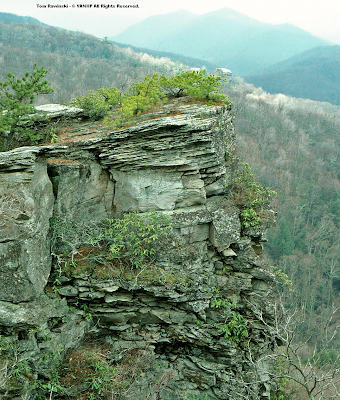 In addition, large amounts of secondary moisture via fog drip from trees and vegetation are added to the Clinch Valley as cold air drains downward out of the highcountry of the massif and Tennessee Valley Divide to often form nocturnal inversions which develop and trap a dense fog layer within the corridor from The Pinnacle Natural Area Preserve southwest to the Rye Cove Karst Basin ( near Natural Tunnel State Park ). But long-term differences are simply amazing as exemplified by Burkes Garden sitting upon the Tennessee Valley Divide at the head of the Clinch River Basin, where despite its high elevation and long record period ( 1896-Present ) there has been only 1 year ( January-December period ) with more than 60" of total precipitation ( 63.02" in 1972 ). *While Big Cherry Dam and Burkes Garden measuring sites are close to the same elevation, Big Cherry Dam has averaged 23.98" more per year than Burkes Garden during the 2009-2011 period ( despite the significant precipitation losses at Big Cherry Dam ). ( Quercus spp. ) and species of the Pinaceae Family. 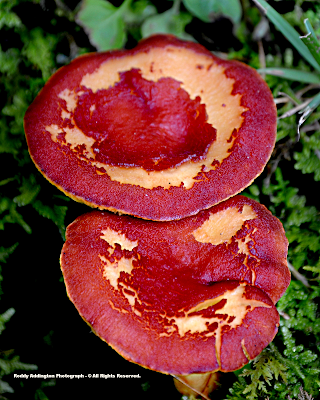 However, as Braun detailed in her premier book Deciduous Forests Of Eastern North America, nothing in the natural world is ever so simple such that much ecological work in the decades since her research has focused upon identification of many natural communities within these major forest zones which are dictated by climate and terrain. Braun observed this in the Cumberland Mountains where changes in altitude, geology, and climate all worked together to determine what species lived where amid the larger-scale domain of its diverse Mixed Mesophytic Forests. It should also be pointed out that in the decades since Lucy & Annette walked amid Appalachian forests there have been many changes, some anthropogenic and others related to replacement of species like the great American Chestnut ( Castanea dentata ). 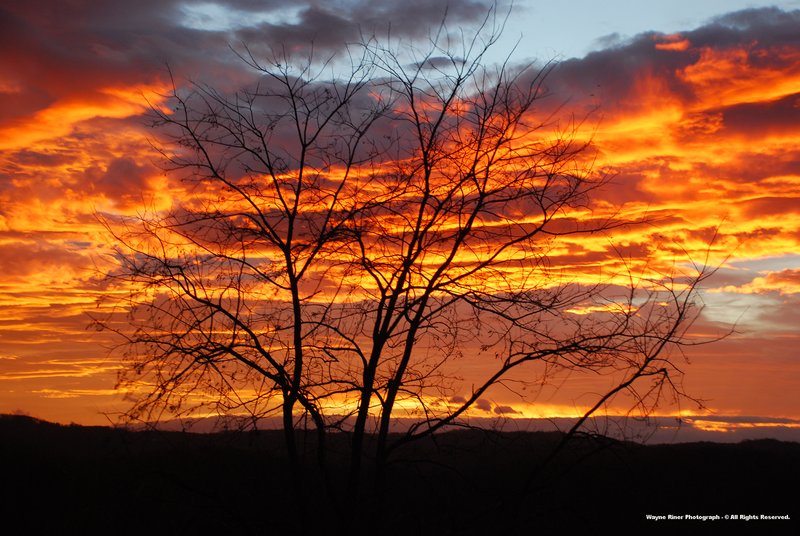 ( e.g., maples replacing oaks in natural settings undisturbed by man ). 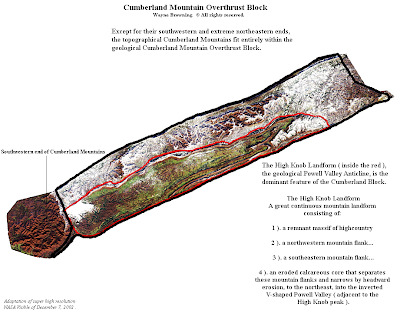 The more I study the High Knob Landform the more complex it is found to become, with a vast array of micro-climatologic variations that act to complicate & expand its diversity for both surface and subterranean life forms ( including humans ). 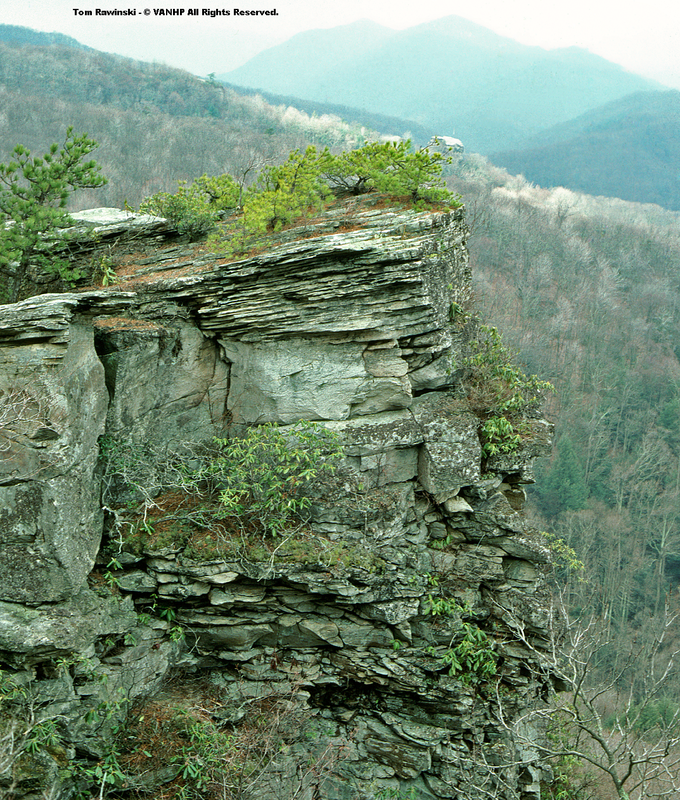 The calcareous core that breaches the High Knob Landform, even extending inside of its massif, is a notable complication as it also acts to breach the Mixed Mesophytic Forest domain with settings suitable for many new and different species not typically found with mixed mesophytes ( wetness in this area making it distinct from the much drier calcareous landscapes to the east and northeast of the High Knob Landform ). While soil types and their porosity are very important factors, total precipitation and its frequency, fog, rime, cloudiness, and temperatures are also vital to types of species observed at any given elevation and exposure. An example of the above can be given by listing a few of the natural communities which have been identified within the High Knob Landform. 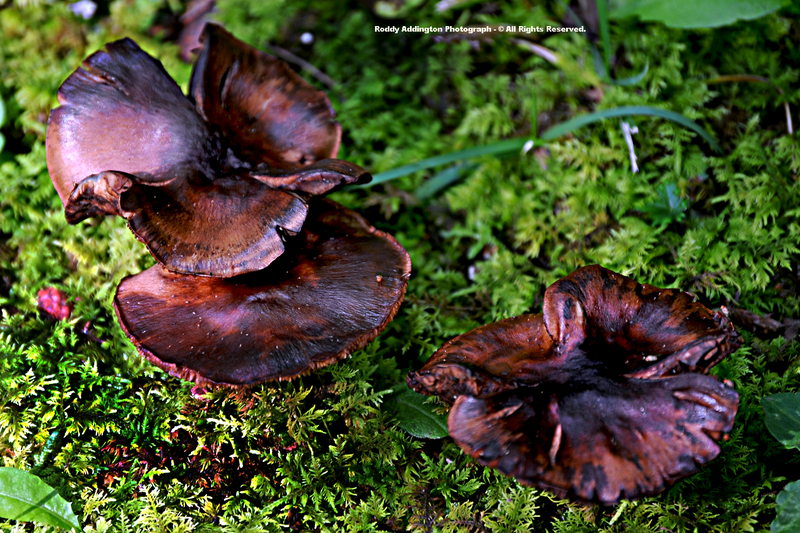 Photograph by Tom Rawinski - © VANHP All Rights Reserved. *Many natural communities have been recognized by field work of the Virginia Natural Heritage Program . Others have been classified based upon local research. Many more likely exist. Due to the unique geology of the remnant massif of highcountry surrounding the peak of High Knob there is today an array of lofty basins and drainages that plunge through steep gorges, creating elevated cold air collection pockets which eventually drain their contents into lower terrain. they are not typically expected to live. Mixed Mesophytic Northern Hardwoods are what I find to be the best designation for many of these cold air drainage corridors since conditions tend to be very mesic and cool throughout the year, with distinct northern species mixed into the various natural communities through which they traverse ( climatic wetness highly favoring mesic species ). 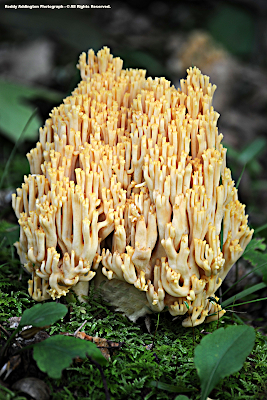 The ultimate result being formation of new natural communities themselves, ones that finger down from upper elevations where northern species are more widespread to form mixed composition zones distinct from many of the communities adjoining their descent into lower elevations. Species compositions of Mixed Mesophytic Northern Hardwood corridors are naturally variable, with those drainages possessing northern & eastern exposures as well as those draining major cold air basins tending to have the most northern species. 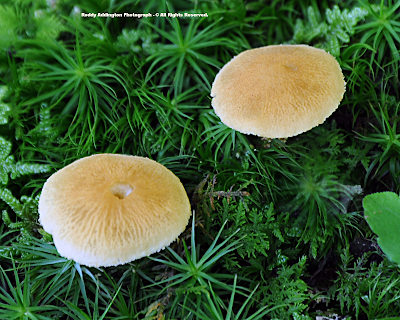 There are many more natural communities across the great High Knob Landform which have not been listed or even yet identified, both above and beneath its surfaces!